First things first, what is IVR? It stands for Interactive Voice Response. It’s a cloud telephony feature used by most call centres to streamline over-the-phone customer conversations. In other words it enables an automated attendant that can route calls without human intervention. In the most basic sense, it’s your business’s robot receptionist that has the power to handle a large volume of calls at once. Armed with this information, you can better understand how IVR is a mighty tool worth investing in. A typical IVR communicates through keypad tones. This is known as dual-tone multi-frequency (DTMF). It tells the computer its connected to which option has been selected by the caller on the virtual switchboard. Each action has a different outcome dictating where the call is routed to by the automated attendant. DTMF has its uses for simple actions such as routing callers using a virtual switchboard to the correct operator. To upgrade your customers’ experience and use IVR for more complex tasks – such as passing on information over automated voice – consider using the following software. This technology has gained new tricks over the past decade. IVR has advanced to understand names and long numbers. Accents still pose a challenge for speech recognition software but this issue is likely to be ironed out in the near future. Businesses choose speech recognition because it creates friendly and efficient customer experiences without a live agent for certain calls. For example, mobile purchases, banking services, retail orders, utilities, travel information and weather updates can all be accessed using voice response software. Have you ever received a text through your landline? There’s something both endearing and slightly sinister about a computer reading out your personal messages. In the business world, TTS is used to fully automate outgoing messages over the phone. So instead of recording responses, the software enables messages based on text. For example, imagine you called an airline to get your flight number. TTS allows businesses to offer this data over the phone through automated speech. Account numbers, bank balances, even personal messages: TTS can list off this information during a call. Therefore the customer gets what they need without using an agent’s time. You can purchase all the hardware and software yourself and run it in-house. You can subscribe to an IVR hosting service (aka implementation and service management via a telecoms provider). Go for a DIY approach and you’ll need a telecommunications expert to run the show. Additionally, an IT technician can help you ensure minimum downtime in the event of a technical failure. If you’re recording your messages in-house, it might be worth hiring a phonetics specialist to help you perfect your voice and make it customer-centric. Likewise you need professional and optimised prompts so customers can jump through the right hoops to resolve their questions. Perfect it and you’ll improve completion rates in IVR. Now you know exactly how IVR works, the different bits of software available and how to run it. If you’re thinking, “How exactly can IVR benefit my business?” read on to find out. In this digital era, businesses must tackle a consumer paradox to elevate their brand loyalty. Millennials – whose generation is larger than the baby boomers and three times the size of generation X – want both enhanced personal experiences and to spend less time talking to humans. Like the preference for self-service checkouts, many customers would rather have intuitive responses from machines than from people. It’s often a more efficient way to complete a task and includes zero awkward small talk. So, how can we deliver personalised caller journeys without human intervention? IVR doesn’t have to equal a robotic experience for your callers. Add a human touch by pre-recording your own personalised messages to elevate customer satisfaction. Delight your customers with friendly and memorable interactions. With the help of a telecoms provider, it’s easy to control the language and voice you choose to reflect your brand. The result can be a more human and natural experience for customers who dial your digits. If you don’t fancy recording your own messages, most telecoms providers have a range of voice artists you can pick for your IVR prompts. While not to the extent of self-recording, it’s possible to create rich and more thorough responses using this method. Also, you have the freedom to update any recordings you make to adapt to different seasons, marketing campaigns, business changes etc. A telecoms provider can help you do this or you can do it yourself. IVR increases first contact solution, resulting in tremendous time-saving potential. Callers gain the information they need, resolve a situation using the system’s prompts or are routed to the correct department as soon as they select an option. If they are put through to a live agent, IVR ensures that the employee will be the most qualified to deal with the query, speeding up the resolution. For instance the probability that the caller will be transferred to the wrong person is dramatically reduced. This outcome can only result from a person selecting the wrong option or giving the wrong information. Consequently this is why professional and crystal clear voice recording is essential to reduce caller dropout and keep customers happy. “Scholars of happiness (yes, that discipline exists) are learning that time makes people happier than money, and that buying experiences makes them happier than buying things.” – Thomas A. Stewart and Patricia O’Connell, INC.
As John Marino, CEO of Blueworx, puts it: “Every single call is a brand impression.” A quick, friendly and easy-to-use phone service says great things about your business. Thinking of using IVR for your B2B communications? Doing so could save your clients oodles of time. For example, with IVR, you can inform a client that their social media campaign is on track, confirm meetings or send them reminders about your services. Give clients the service they need in record speeds and they’ll reward you with their loyalty. Reduced overheads means you can increase your budget: IVR reduces the number of support staff required helping you save money. Spend the capital on more advanced IVR technology or invest it into other areas of your business. Whatever you choose, you continue to grow. Productivity levels rise boosting your revenue: When employees spend less time on the phones, they get more time to dedicate to other tasks: processing orders in the system, assisting in sales, maintaining customer accounts etc. Streamlining the sales process results in more purchases: It’s easier for customers to finalise a sale using IVR. Faster orders means greater inbound call capacity and you can process more orders every working day. On your busiest days, the casualty of increased call wait times is a dissatisfied customer. Long periods of on-hold music can kill customer happiness and you lose business as a result. One of your worst nightmares is losing a significant sale or customer. IVR removes this fear, allowing you to prioritise calls based on value or importance. The system can flag VIP callers as they come in so agents can push them to the front of the queue. It can also influence who takes the call. By logging which advisor answered the call last, it can divert it to them immediately. Moreover, since customers have to select an option before being transferred to the right person, IVR can look at the type of call coming through for further prioritisation – a missed payment, for example. All of these features help reduce wait times and ensure VIP customers gain bespoke assistance, elevating your brand loyalty and boosting sales. When a customer calls a business and hears an automated greeting on the other end of the line, they assume the company is big. Big enough that one receptionist can’t handle your call volume, anyway. Moreover, because you can map different departments from accounts to operations, it sounds as if you have a large company with specific teams handling calls for each area. In reality, you could have two agents answering calls for all your departments… but your callers don’t have to know that. If you’re a small business, projecting the image that you’re bigger will change how customers view you. It could make them trust you more with the impression that you’re dealing with a lot of customers and have heaps of expertise. Of course, you can still be a small business and achieve this. However, customers are more likely to believe it with IVR. Ultimately, your professional image improves meaning people are more likely to do business with you. You won’t need as many call answerers when you use IVR. When you’re spending less on salaries, you can use the extra revenue to upskill staff, boost your marketing efforts and grow other departments. Furthermore, with increased customer service and sales processing efficiency, you could see a big ROI. Also, outbound IVR can be used for marketing purposes, from alerting customers of new products to communicating with existing clients and customers. You could even use phone polls or surveys at the end of a call for competition entries or to offer discount codes. Leveraging the system to elevate your marketing will help you improve your ROI. When IVR becomes an income-generating system, you know you’ve gained a valuable asset for your business. Bad IVR Experiences: A Thing of the Past? It’s not the 1980s anymore. For businesses invested in innovation, IVR is no longer a nascent technology experiencing growing pains. Painfully long greeting messages are a thing of the past. Natural and intuitive voices are humanising the machine. 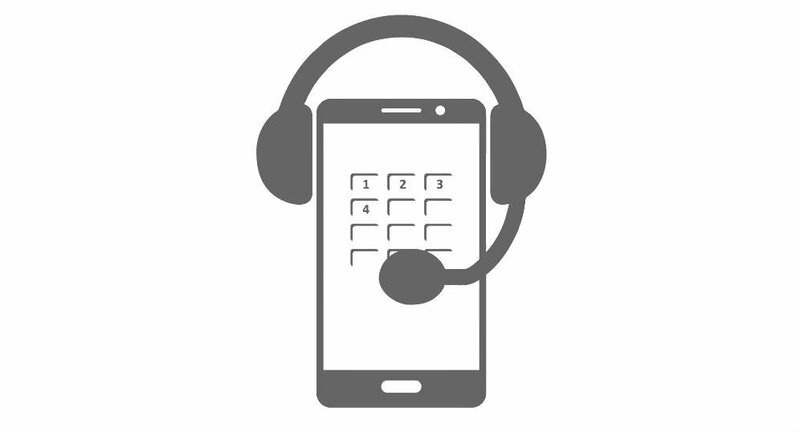 With customer centricity at the forefront of your strategy, you can use sophisticated IVR technology, such as voice response software, to turn your automated attendant into a five-star call handler. Enhanced customer satisfaction and loyalty, optimised customer support and a boost to your revenue are the significant benefits IVR delivers to help you grow. To make sure you get your set-up right, digest the following tips and get the most out of your interactive voice response system. Stay on brand: think about your business persona and communicate it clearly to support your brand values. Define your callers: which customers are most likely to use IVR? Consider this when developing your voice. Invest in specialist phonetics advice: so you can avoid ambiguous prompts and improve first contact resolution and call completion rates. Steer clear of jargon: speak your customers’ language. Keep it simple and concise. Prioritise saving customers’ time: don’t make them work hard to solve a problem. Try and keep it to three actions, max. Avoid overwhelming customers with lots of menus: science says we can remember seven snippets of information in a short space of time. Therefore try not to go over seven options in the menu to prevent caller dropout. Be fun or charming: humanise your brand and build relationships with a likeable voice. Eliminate boring statutory messages and greetings: listen as if you were a customer. Are certain messages necessary? Can you cut call times? Also, consider putting the most common options first to speed up resolutions. Play all your options before going live: identify any loops, duplications or dead ends. Include an escape route: provide a direct route to a live agent on all your menus. Have poised and knowledgeable staff from day dot: your IVR software will only be fit for use when you have a trained team behind it. Consistency is key: ensure your voice mirrors your language, tone and messaging across the business. Likewise use the same offers featured on your website to drive sales. Use KPIs to measure performance: record your dropout rates and log which paths callers are dropping out from to help you identify the cause and execute fixes. What are the benefits of IVR? 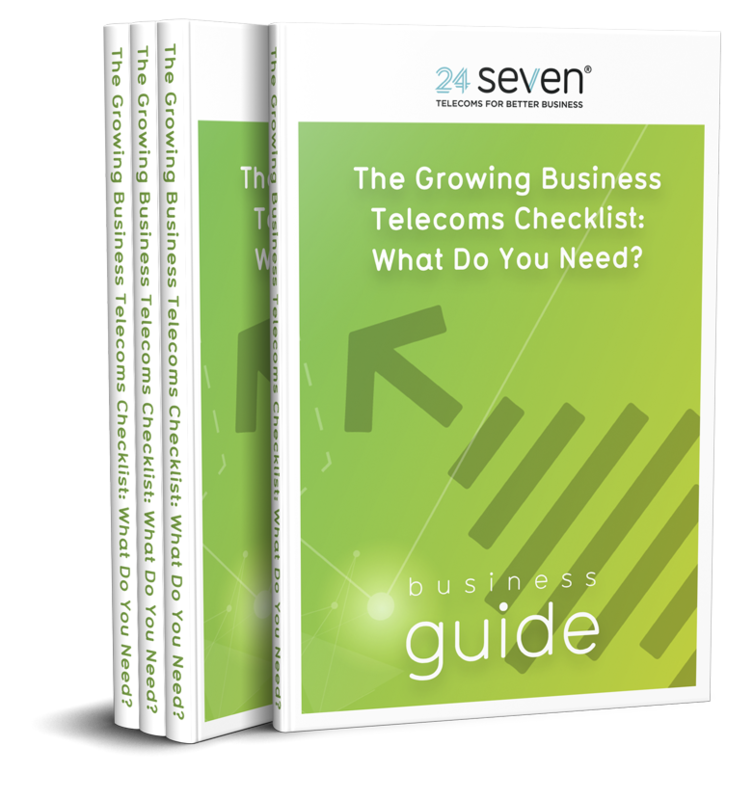 … here’s one final tip to give you the best possible start: a telecoms provider who implements top-tier software, tests your line and offers ongoing technical support and advice will help you unlock all the business-boosting benefits IVR can yield. Overall consider enlisting such help to reap as many benefits as possible.